Expose is a CSS and Showcase Gallery WordPress Template best suited for Gallery Sites and personal Portfolios. 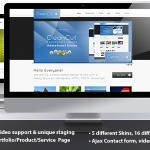 It comes with 3 Skins, uses custom widgets and shortcodes as well as plugins. Additional sidebar widgets to display news, advertising widgets as well as a smart widget which shows either blog or gallery categories depending on which page the user is viewing. I am interested in purchasing. But I don’t have knowledge of Programing , I can manage this web site to me ? The idea is. 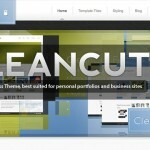 Create a Web site for the post freelance portfolio. PS.I am from Thailand Sorry about the language.